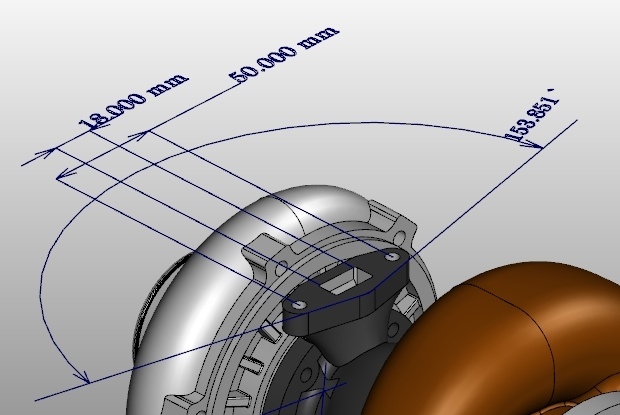 Take accurate measurements on your CATIA, NX, Pro/ENGINEER, SolidWorks, STEP, IGES & JT files. Perform linear, angular and radial measurements, with filters and settings to help you do it quickly & accurately. Select entities to measure distance, angle & radius between lines, points, surfaces & planes. For points, single entity selection displays XYZ coordinates, and displays the distance when two points are selected. For edges, measure the length/diameter and the distance/angle between two edges. Similar linear/angular measurements can be performed when two faces are selected. Measurement is precise for CAD formats containing BREP data. 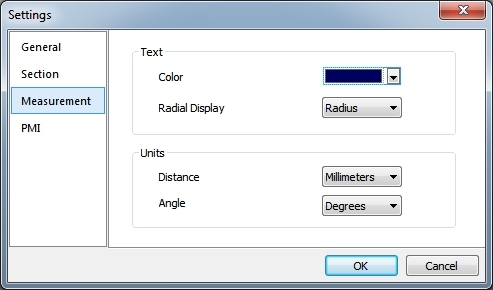 Measurement units are model units, but can be changed from the Settings tab. Measurements performed using the Advanced Measurement Add-on are not saved in the file. Perform ad-hoc measurements on models when dimensions are absent. Send your measurement snapshots, right from within the Glovius app, by clicking the Email tool on the ribbon bar. Enter the measurement mode by selecting the “tape measure” icon from the ribbon toolbar on the top. In the measure mode, as you hover over entities, they are highlighted for easy picking. The highlight & measurement colors, as well as other settings can be configured through the settings menu. After selecting an entity (a point, an edge or a face), click to place the measurement on the screen. You may continue your selection for measuring two entities. Hit the ESC key to deselect the last entity from measurement queue. The “Clear All” button flushes all the measurements taken and lets you begin afresh. Delete measurements by selecting them with mouse and hitting the DELETE key. Click here to register and download the add-on. A free 7 day trial is available. To configure, simply download and install the add-on. The measurement add-on works with Glovius 32-bit and 64-bit viewers. The Advanced Measurement add-on is available for $99 as a standalone license. Visit the online store to buy a copy. It is included in all subscriptions plans: Basic, Standard & Pro subscription plans. Click here to compare plans and subscribe. Plans start from $19/month. Measurements illustrated on 3D model by Silvio Arcanjo, a GrabCAD user.